wi-fi on the orleans express bus finds me rolling eastward on the trans-canada highway towards moncton and a change of buses and more highway to dartmouth, nova scotia. fredericton back in cool weather. dropped to 10 c after the heavy rain showers this morning. didn't go to market for a snitzel for the road. too bad, it would have been a free one with hans' frequent buyer card. oh, well, it'll keep for another saturday morning ... don't even feel sure that i should be doing this quick trip to visit family in the days before the congress circus arrives full blown in fredericton next week but if i don't go this weekend the next available would be in july ... after congress, after the league meetings in toronto, after brno and berlin, after the new brunswick heritage fair showcase weekend ... many miles to go before my next opportunity to visit family and eat lobster in west chezzetcook. 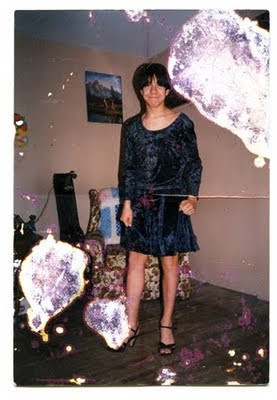 but dis/orientation and dis/location and not just pain english are part of my life world work. have three books at three different printers. two broken jaw press books to be launched at congress are at printers in yarmouth and halifax. 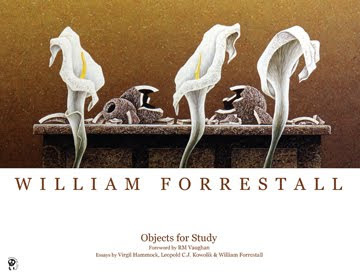 William Forrestall: Objects for Study. Drawings, meditations & paintings by William Forrestall. Essays by Virgil Hammock, Leopold C.J. Kowolik and William Forrestall. Foreword by RM Vaughan. Launch at 4 pm next saturday, 28 may, in the lobby outside the kinsella auditorium, ground floor of the mccain building, st thomas university. 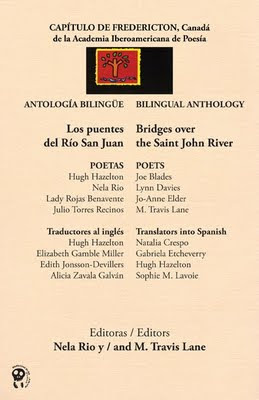 the 8-poet antolgia Los puentes del Río San Juan / Bridges over the Saint John River a Capítulo de Fredericton de la AIP antologia, Nela Rio & M. Travis Lane, editoras / editors will be launched the evening of 30 mayo in G15 Edmund Casey Hall, Saint Thomas University, sometime between 5 and 8pm. 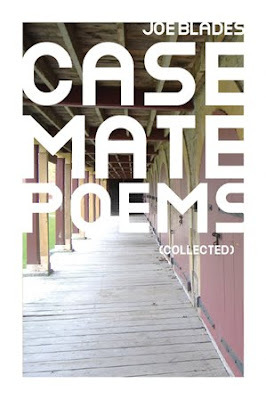 and my newest book,Casemate Poems (Collected) (Ottawa: Chaudiere Books), is at a printer in renfrew, ontario. i received a proof galley a week ago friday. don't know if any copies will arrive in fredericton in time for congress, especially for the 30 mai, 4:30-6:30 pm, Canadian Association for Curriculum Studies Celebration of Scholarly Creative Works 2011, O'Brien Study Hall, McCain bldg, St Thomas University, or my reading in the 31 May, 6-7:30 pm/18:00-19:30, Writers' Salon/Le salon des auteurs, w/avec creative writers from across Canada, in the Alumni Lounge, Alumni Memorial Bldg, 13 Bailey Dr, UNB: David Hickey, Greg Shupak, Kasia Juno, Lorne Roberts, Nathan Dueck, Zhong Chen, Stephanie McKenzie, Joe Blades, Anna Lapointe, and Arpine Grenier. then there's the papers to be presented, the volunteering, the suppers, socializing, grad student/school research, and the friends and colleagues to find/meet up with, if possible. Versatile Blogger Award received from Stefan Milicevic. 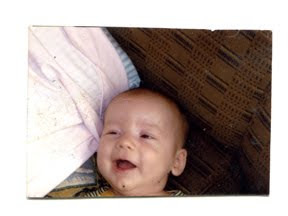 Tonight, Thursday, May 19th, I am participating in a fundraising activity–event organized by the Nackawic Public/School Library: Pathway-to-Reading. In my treks to Nackawic to give workshops and readings at the three schools—elementary, middle, and high—I have not participated in this event before. The event will happen from 6:30–8:00. Pathway-to-Reading, they say, "combines literacy and fitness" by having students (and their families?) walk to various locations in the town with readings at each location [something like the WFNB walking reading, Voices of the Earth 2004, in French Fort Cove park, Miramichi, that I read in]. The organizers have chosen authors and writing for this year's theme and they have invited New Brunswick authors to be their special guests for the event. Jean Dohaney and I for sure, but whether there are to be other NB authors, I don't know. After the walk about town, there will be refreshments and author readings in the library. A very neat aspect of this year's Pathway-to-Reading is that Nackawic schools' students are to have their poems, stories, and essays on display in the library for the month of May. Hopefully, these student–writers will be there this evening to talk with us. The organizers distributed piggy banks during the past years that will be brought back today at the fundraiser. They also have a piggy bank in the library for donations. Come to the walking reading tonight, if you can. If you can't, then drop by the library before month end to see the student–writers creations. Found at 8:10 pm, Friday, 13 May, 2011, faceup on the floor of the "Staff only" kitchen in the Sussex Artist Co-op (Tea Room & Museum), 12 Maple Street, Sussex, New Brunswick. Found at 1:14 pm, 11 May 2011, faceup on the ground/sidewalk near 324 York St, Fredericton, NB. El sábado, 14 de mayo, 2011 a las dos de la tarde, el Capítulo de Fredericton de la Academia Iberoamericana de Poesía (con la colaboración de la Asociación Latina de New Brunswick —Proyecto PRESENCIA—, y Broken Jaw Press) invita al público a participar en el quinto Festival Internacional Palabra en el Mundo, que se celebra entre el 19 y el 24 de mayo en el mundo entero: más de 30 países y más de 500 ciudades celebrarán este Festival. Este año, los poetas han contribuido poemas sobre el tema de la PAZ. 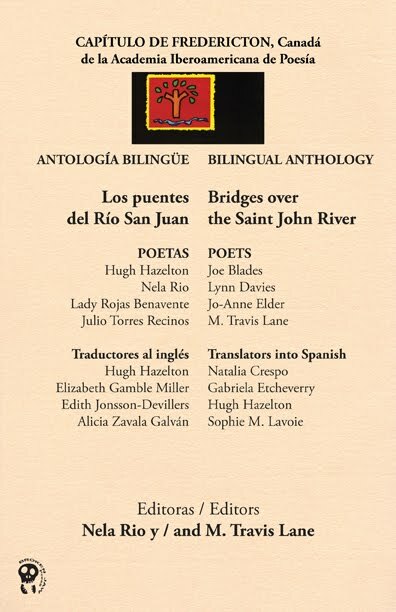 El evento tendrá lugar en la sala de lectura del Rio de la Biblioteca Pública de Fredericton y luego en el Puente del río San Juan (si no llueve). Están invitados a participar con un poema sobre el tema de la PAZ o solo escuchar a los poetas locales leyendo poemas suyos. Habrá café y galletas. ¡Nos vemos allí! 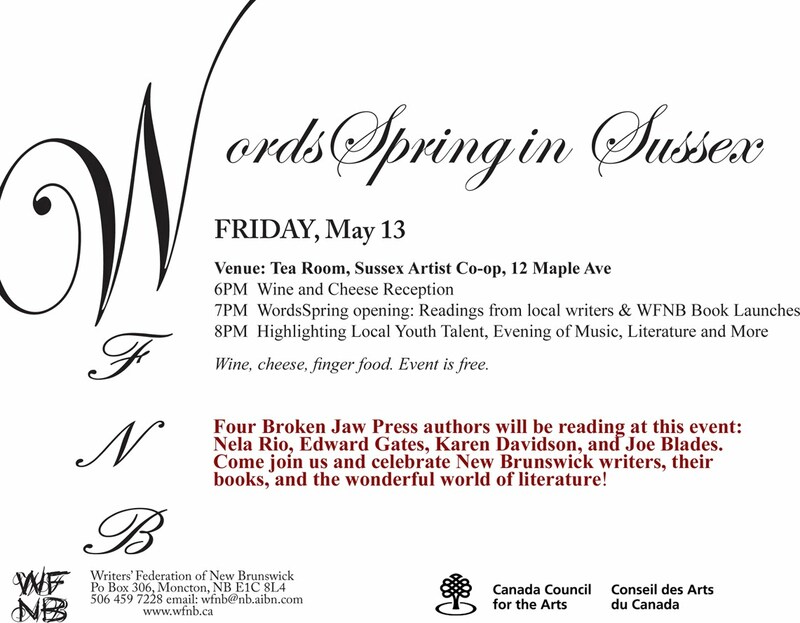 On Saturday, May 14, 2011, at 2 p.m., the Fredericton Chapter of the Iberoamerican Academy of Poetry (in collaboration with the New Brunswick Latino Association —PRESENCIA Project— and Fredericton’s Broken Jaw Press) invites the public to participate in the fifth annual Word in the World Poetry Festival, being celebrated between May 19th to 24th across the world in more than 30 countries and in more than 500 cities. 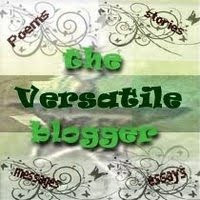 This year poets have been contributing pieces on the theme of “Peace”. The event will take place at the Fredericton Public Library’s River Reading Area and on the Bridge over the St. John River (weather permitting). Come read your favourite poem on the theme of peace and hear local poets read their poetry as well! There will be coffee and treats. See you there! ¡4 Broken Jaws @ WordsSpring, 13 May 2011! WordsSpring's Friday evening schedule, which is so full it's overflowing. The brief readings will be interspersed with music from local youth talent, and books will be for sale. WordsSpring, May 13-15, Sussex, NB. 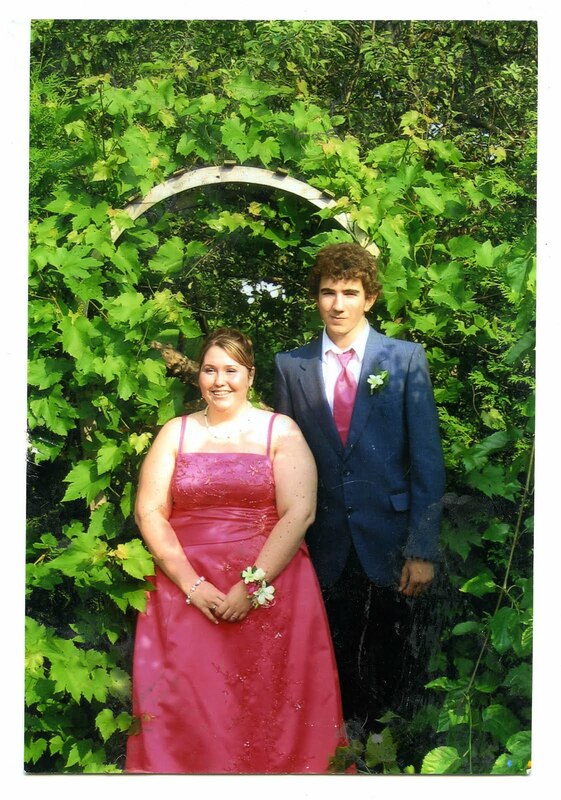 Found at 4:36 pm, Friday, 6 May 2011, facedown over a sewer grate on the southeast corner of Regent and Aberdeen streets, Fredericton, NB.